We are lucky enough to be surrounded by some stunning footpaths leading right from our garden. 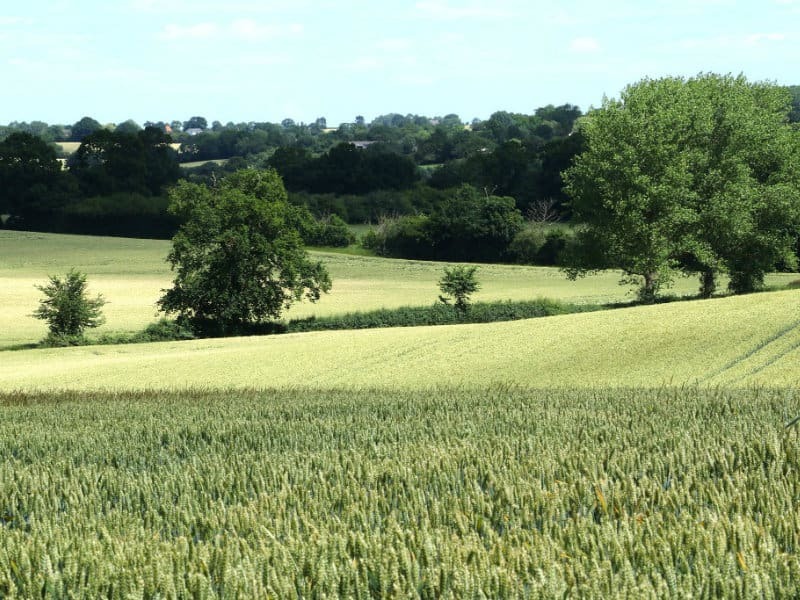 Follow some of the guided walks on the pub's website, or use a map (Ordnance Survey maps of the area are available to buy in the campsite's honesty shop) and pick your own route. There’s lots to see in our local countryside & woodlands including deer, barn owls, hares, horses, sheep and (thanks to our proximity to Minsmere RSPB reserve) LOTS of birds. Within a short walk of the site (1 mile) you will find 2 pubs, a café & shop, some complementary therapies, a range of courses & activities in a neighbouring farm, the river Alde, 3 village play fields & lots of wildlife. 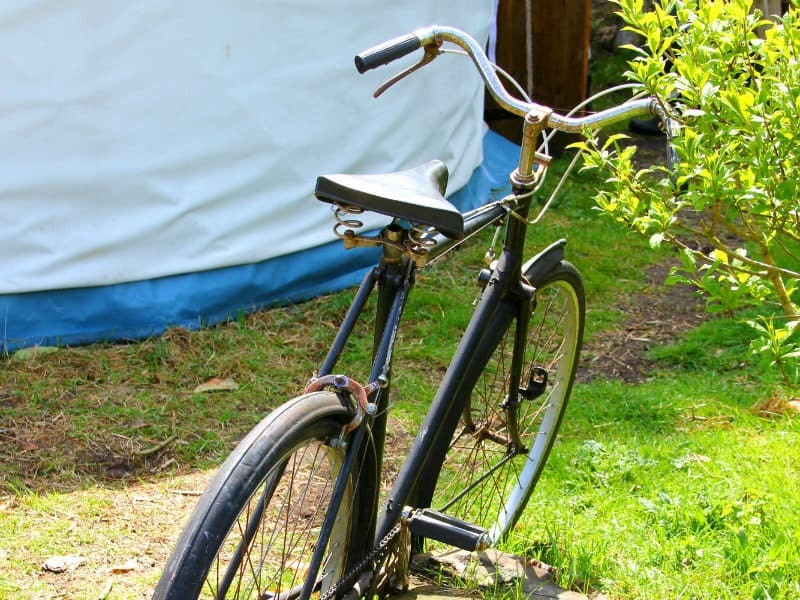 Hire a bike from Suffolk Cycle Hire or borrow one of our vintage bikes, and explore the local area. Most of our roads are quite quiet and not too hilly, and within easy cycling distance (2 miles) is 2 pubs, a café, the river Alde (which runs all the way to Aldeburgh), two woodlands & lots of lovely countryside. We are on National Cycle Route 41 (which also connects with Route 1) so if you’re looking for a longer ride you can navigate yourself via Sustrans to local coastal resorts such as Dunwich or towns such as Framlingham. Why not pack a picnic and make a day of it? Don't forget to take waterproofs, a map, a hi-viz jacket (borrow one of ours) and the phone number for Hart Cars (01728 602009) in case you decide you don't feel up to cycling back! 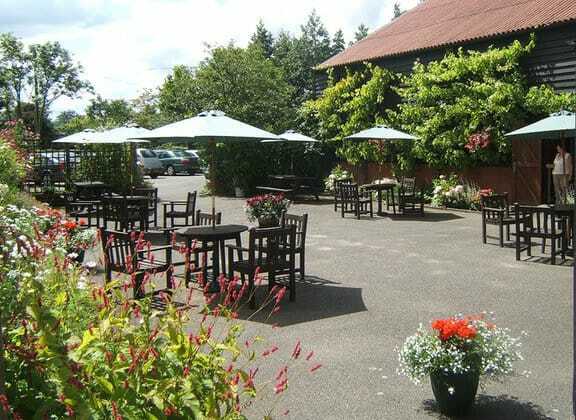 Shawsgate vineyard is just 4 miles from here and is a great place to spend a few hours. It’s one of East Anglia’s oldest commercial vineyards producing a range of red, white and rose wines. Pre-book one of their many events including tours, tastings and experience days, or take a self-guided walk amongst their vines. Alternatively you could head straight for the shop which stocks their large range of wines including fizz. 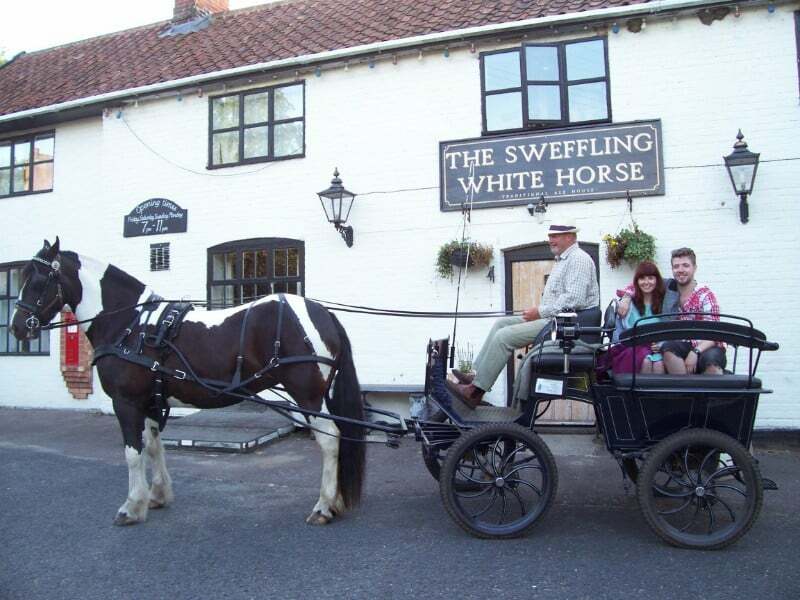 Pre-book a horse & carriage ride to pick you up from the garden and take you for a relaxing & scenic drive through the beautiful surrounding countryside. Short and longer drives available, and an extra carriage is also available for larger groups. Your driver will offer an informative chat, pointing out places of interest along the way. Perfect for couples and families. 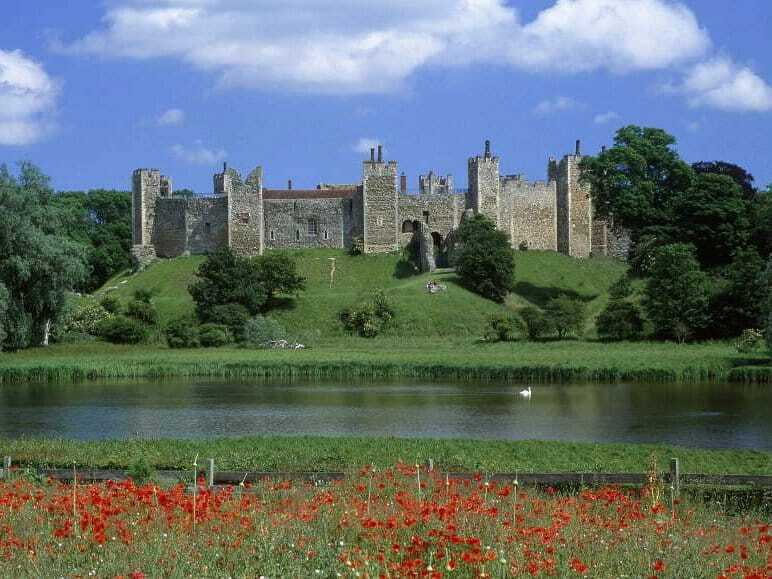 Framlingham Castle is a magnificent 12th century fortress with a long and colourful past which makes a fascinating family day out in Suffolk. The castle also has a range of hands-on activities, a shop & cafe, plus a range of family-friendly themed activities during the school holidays. Framlingham itself is a perfect place for a stroll - with markets on Saturday and Tuesday offering great local produce together with trinkets and collectibles. There are excellent shops too, for gifts, food, fashions and antiques and mouth-watering selection of cafés, tea shops, pubs and restaurants. Enjoy a family day out at this open farm, with small animal petting sessions, farm walks, themed activities and a gift shop. Easton Farm Park was built in the late 1800s and has been a Farm Park since 1974, the second farm park to be opened in the UK. It offers a unique mix of interactive farm fun within a set of listed historic buildings and countryside. 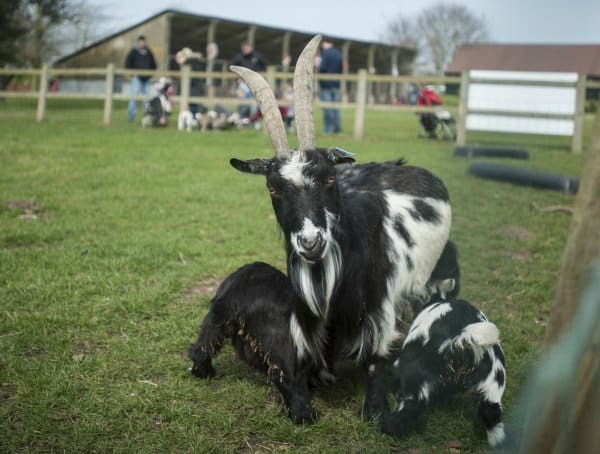 Easton Farm Park is a very popular family attraction, with lots of themed activities including pony rides, bunny hugging and lamb feeding. Mendham, River Waveney (pictured) IP20 0NH - Meandering and rather wonderful stretch of the mid-Waveney – warm and not too deep. Otters, kingfishers, and overhanging willows. Outney Common NR35 1DS - A 3km stretch of the Waveney meandering around open common land. Good water quality, up to 2m deep in parts, popular for canoeing. Many bays and swimming possibilities. Thorpeness beach IP16 4NP - A favourite place to go wildcamping and enjoy a bit of midnight skinny dipping. A shingle beach which drops a small shelf to a flat sandy bottom. Covehithe beach NR34 7JW - A poetically desolate air makes this stretch of coast between Southwold and Lowestoft ideal for a contemplative swim. There's plenty of birdlife to watch as you float. Beccles Lido NR34 9PL- not quite wild swimming, but this open air swimming pool by the river Waveney is 30m long & has separate toddler & paddling pools. All are heated to 27 degrees.